Immediately after the biggest holiday shopping season in years, President Trump slammed the US Post Office for letting Amazon take advantage of them and told them to raise their rates. I’m not sure I agree with this even though technically, the USPS does answer to the executive branch. Trump suggested on Twitter that the online retailer is taking advantage of the federal government’s beleaguered mail service. Although the US government does regulate and control the USPS, they operate more or less independently. The answer here is not more governmental intervention, but instead to cut the USPS loose and let them privatize. Amazon and its founder, Jeff Bezos, have been the targets of Trump’s tweets in the past, but his attack today did collateral damage to the US Postal Service, which Trump said ought to charge more to deliver the online giant’s packages. “Why is the United States Post Office, which is losing many billions of dollars a year, while charging Amazon and others so little to deliver their packages, making Amazon richer and the Post Office dumber and poorer? Should be charging MUCH MORE!” Trump tweeted. This is not likely to be popular with Americans. Just sayin’. I understand that Trump hates the horrendous business sense of the USPS. That’s exactly why they should privatize. I also understand not liking Jeff Bezos and eviscerating him… he also owns the Washington Post. That rag does nothing but lie about and attack Trump. However, I do love Amazon and have shopped with them for more than 15 years and have had very few problems with them. Frankly, I want them to cut the best deal on shipping they can. Just because they have good business minds working for them and the USPS doesn’t, does not mean Amazon should be punished for that. It’s called the free market and capitalism. Trump’s comment seems to be in response to a “Fox & Friends” segment about tech trends in the new year which was aired Friday morning. The piece focused on Amazon making shopping easier for its customers. Following the President’s comments, Amazon shares quickly reversed course in pre-marketing trading. Trump has used Twitter before to jab at Amazon. He’s had a feud going with Bezos now for years. Bezos saw his net worth climb to more than $100 billion in November after shares of Amazon surged. I’m sure that also irritates Trump. Per Newsmax, the mail service is independently operated and strikes confidential deals with retailers. David Vernon, an analyst at Bernstein Research who tracks the shipping industry, estimated in 2015 that the USPS handled 40 percent of Amazon’s volume the previous year. He estimated at the time that Amazon pays the USPS $2 per package, which is about half what it would pay UPS and FedEx. The Postal Service reported a net loss of $2.1 billion in the third quarter of 2017 and has $15 billion in outstanding debt. The service has lost $62 billion over the last decade. Amazon has been experimenting with a new delivery service of its own that is expected to see a broader roll-out in the coming year. 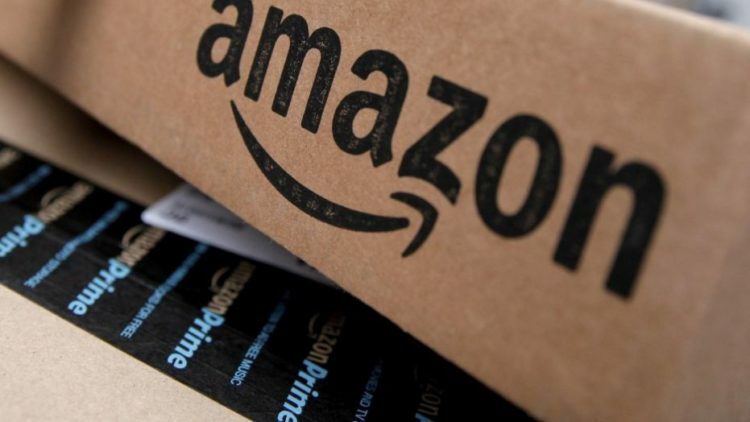 Under the program, Amazon would oversee the pickup of packages from warehouses of third-party merchants and the delivery to home addresses. So, in the end, I expect Amazon to mostly ditch the USPS altogether. Regardless, President Trump probably is not going to be happy with them.